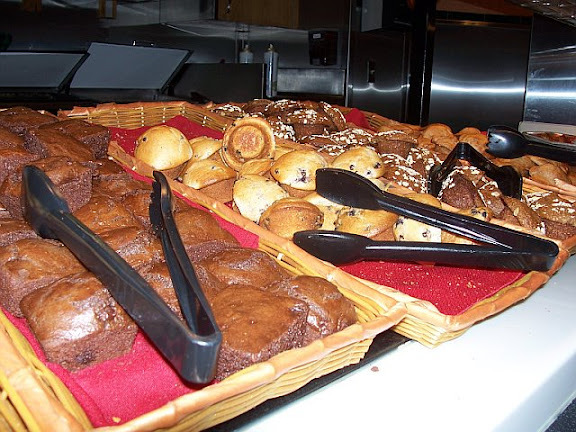 Souplantation is an all-you-can eat buffet featuring a huge salad bar, soup bar, pasta bar, dessert station and breads station. 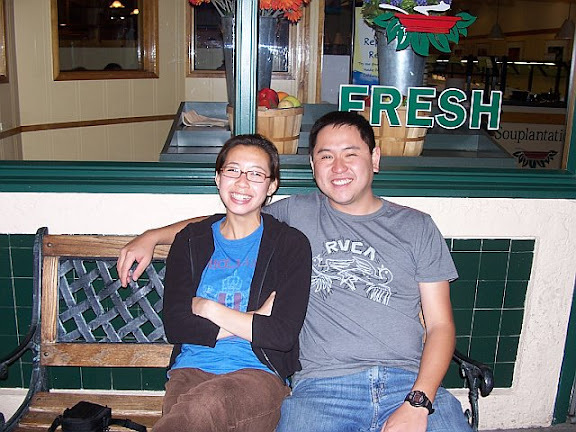 It’s one of my all-time favorite restaurants in San Diego because it’s healthy, fun, and very tasty. I’ve been going here since I was a kid and will continue to return as often as possible when I visit. 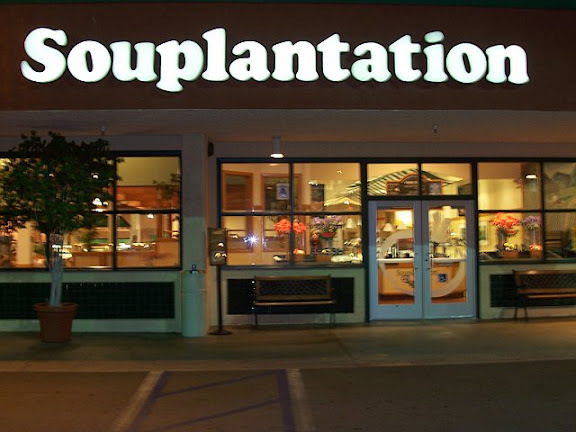 During this visit to Souplantation, I was accompanied by mother and cousin Phil. Both of them are just as enthusiastic about the place as I am. Okay, maybe a little less. I started off my meal (as always) with two salads: one plate full of Won Ton Chicken Happiness and another filled with hodgepodge salad items. My hodgepodge plate included raw spinach, Caesar Salad Asiago, Green Chili Ranch Salad with Cornbread Bites, and extra croutons. Cornbread Bites rock! My second course was the Big Chunk Chicken Noodle. I added in some fresh green onions intended for the Deep Kettle House Chili. 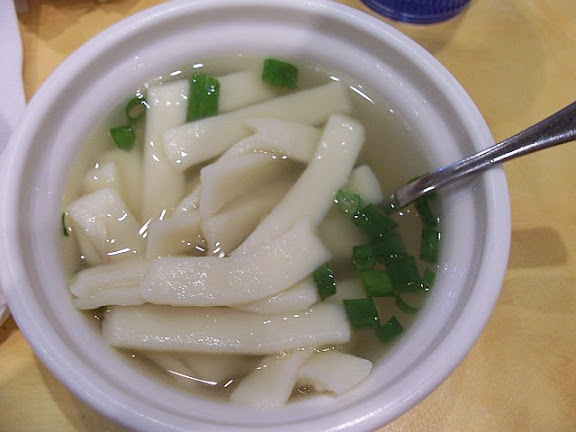 The best part of the soup were the noodles; unusually thick, but awesomely delicious. My third course was a plethora of breads including a blueberry muffin with maple whipped butter (extra honey) and Quattro Formaggio Focaccia. The Focaccia was excellent. I’ve seen it for years at the breads station, but never tried it until this visit. The bread was crisp in all the right places and the cheese was wonderfully melted. I will definitely eat it on future visits. I finished off my meal with the Raspberry Apple Cobbler. The topping was delectable and the filling was piping hot. Next time I will have it with some soft-serve!